In May 2004, Robert Lynn Embrey and Bonnie Gail Embrey abducted their grandson, Travis Embrey, and traveled with him from California to Arizona. The couple were Travis’s guardians and fled with him because they objected to allowing the boy court ordered visits with his mother. 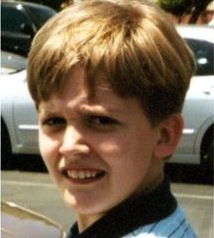 Travis was recovered in August 2006 at age 11. During his abduction, Travis was homeschooled by his grandparents.